Everyone’s definition of success is different. What works for you in a business environment is as unique as you are. At New Frontier Payments, we recognize that and help you create the sales environment that meets your personal and professional needs. Sounds different? It is. 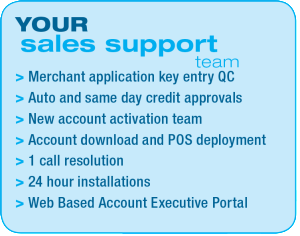 We are a unique type of merchant services provider. 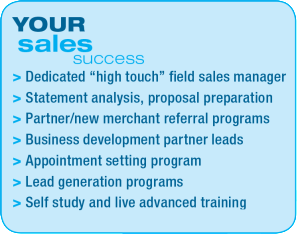 We understand that your satisfaction as a sales professional is the foundation for our growth. 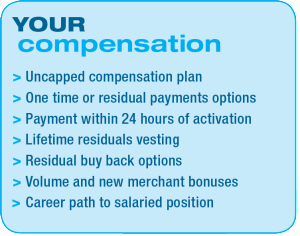 We place a high value on work / life balance and support your vision of success, whether you want to build a full time lucrative career or be an occasional sales consultant to help the merchants in your community. Our innovative approach combines best-in-class products and services, in person sales management mentoring, state-of-the-art back end processing expertise, top tier benefits and outstanding compensation for our Account Executives. Join us and explore the New Frontier of the merchant services industry!